These two pieces of homeware that are designed for oranges will make anyone go fruit envy. We are completely goo goo ga ga over these cute faces. Citrus fruits can’t get any more fun with these two orange gadgets around. The orange basket holder on the left, is an orange fruit holder, “Kantan Reito Mikan Holder“ the most kawaii fruit accessory designed for Japanese oranges- the Mikan fruit, which is like easy peelers satsumas. It is for making frozen orange iced desserts. We think it is perfectly cool to carry our citrus fruits in this holder along with our lunch boxes. 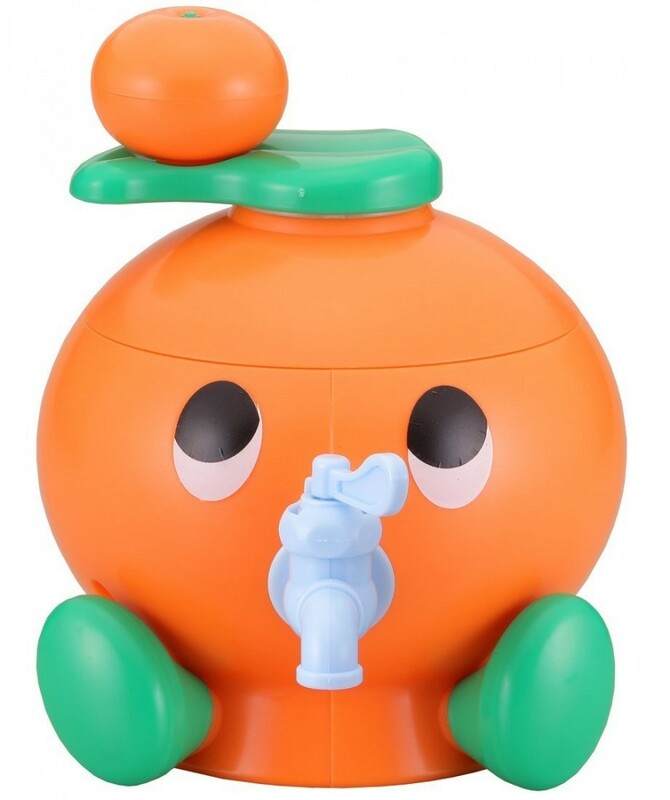 The cute gadget on the right is also designed for the Mikan oranges - an orange juicer. Totes adorbs! Who says fruits can’t be fun? In our books, Vitamin C is for Cute!